GENEVA (AP) — One of soccer's most infamous match-fixing cases was settled Thursday when a referee notorious for corrupt calls was banned for life. NIAMEY, Niger (AP) — A regional deputy official in Niger says that 18 girls have been kidnapped from two different villages by suspected Boko Haram militants. Lamido Harouna Moumouni said 24 attackers abducted 15 girls in the village of Blaharde early Saturday and three other girls in the village of Bague. This is not far from where suspected extremists killed at least seven people at a French drilling company's site Wednesday, and near Nigeria's border. NIAMEY, Niger (AP) — Niger's defense minister says suspected Boko Haram extremists have killed seven people and injured seven others at a French drilling company's site in the southeast near the border with Nigeria. Italy's hard-line interior minister has welcomed 51 refugees and asylum-seekers who arrived in Italy after being detained in Libya and then airlifted out by the U.N. refugee agency. ALGIERS, Algeria (AP) — Algeria has categorically denied the most recent claims that it forcibly expels West African migrants to its border with Niger, leaving them stranded in the desert. A statement Wednesday night by Algeria's foreign ministry said the country would continue expelling migrants living there illegally, adhering to international conventions and "with respect to (migrants') dignity." OUAGADOUGOU, Burkina Faso (AP) — At least eight members of Burkina Faso's security forces are dead after a pair of attacks in the turbulent east, the country's security minister said Thursday, while France's military said it carried out an airstrike against extremists fleeing one of the scenes. The West African nation is the latest in the region to wrestle with the growing threat from extremist groups that in recent months have found refuge in the forested east near the border with Niger. NIAMEY, Niger (AP) — Niger's public health ministry says at least 68 people have died in a cholera epidemic that began in July. The ministry this week said it has registered more than 3,690 cases of the disease, which is caused by contaminated food or water and can kill within hours if untreated. The epidemic has spread in the central Maradi region and has also affected the northern Tahoua, eastern Zinder and southwestern Dosso regions. PARIS (AP) — U.S. Defense Secretary Jim Mattis said Tuesday that the U.S. will not reduce its support for the French-led military operations against insurgents in Mali. BAMAKO, Mali (AP) — A Tuareg leader says armed men on motorcycles have attacked a nomadic community near Mali's border with Niger, killing at least 12 civilians. Moussa Ag Acharatoumane, secretary-general for the Tuareg self-defense group, said Wednesday the attack targeted men in the Iboghilitane community about 45 kilometers (28 miles) west of Menaka. The violence risks setting off a new cycle of intercommunal clashes in the Menaka region where 100 civilians have already been killed this year. OUAGADOUGOU, Burkina Faso (AP) — Growing attacks by motorbike-riding extremists who flee into the forest have led Burkina Faso's government to ban the use of motorbikes and bike carts from sunset to sunrise in its troubled east. The West African nation also announced this week it will monitor cars and trucks in the area near the border with Niger, which is fast becoming a hideout for extremist groups linked to al-Qaida and the Islamic State organization. Government spokesman Zakaria Abdourahmane said authorities had not been aware the priest was in the country's southwest near the Burkina Faso border. He said investigations have begun to find the attackers and free the priest. LAGOS, Nigeria (AP) — Britain and Nigeria signed a security and defense agreement during a one-day visit by Prime Minister Theresa May on Wednesday as Africa's most populous country struggles to defeat Boko Haram extremists and others linked to the Islamic State organization. OUAGADOUGOU, Burkina Faso (AP) — The extremists approached the shepherd and made their intentions clear: They were seizing only the cattle owned by the deputy mayor of Burkina Faso's rural commune of Deou and leaving the others alone. And they had a message, deputy mayor Moustapha Sawadogo said: "All officials should leave the Sahel or face death." DAKAR, Senegal (AP) — The United States started arming drones in the West African nation of Niger earlier this year, according to the U.S. Africa Command. OUAGADOUGOU, Burkina Faso (AP) — Burkina Faso's army says its counterterror forces have captured some 60 extremists along the border with Mali and Niger during operations conducted since July 8. The military said Thursday its forces also dismantled several extremist bases and seized explosives. The border with Mali and Niger is home to jihadists who kidnap and kill officials, sometimes in connection with other Islamic extremist groups in West Africa's vast Sahel region. 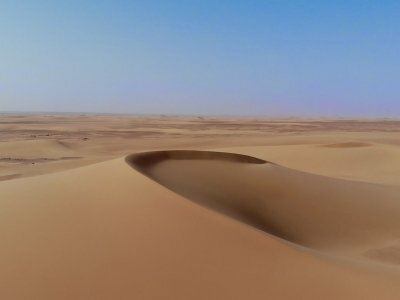 PARIS (AP) — Algeria's government has resumed expelling migrants into the Sahara Desert to die, leaving 391 people to wander through some of the world's most hostile terrain in the middle of summer, a U.N. migration official said Saturday. ASSAMAKA, Niger (AP) — On the map, it links Algeria's Mediterranean coast to the distant Atlantic shore in Nigeria. Along the way, however, the Trans-Sahara highway frequently deteriorates from black tar into sand tracks lined by half-buried tires. The Defense Department says a 26-year-old soldier from Arizona has died from wounds suffered in Somalia. In a statement issued in Washington, the Defense Department identified the soldier as Staff Sgt. Alexander W. Conrad of Chandler, Arizona. The statement says he died Friday of injuries sustained from enemy indirect fire. 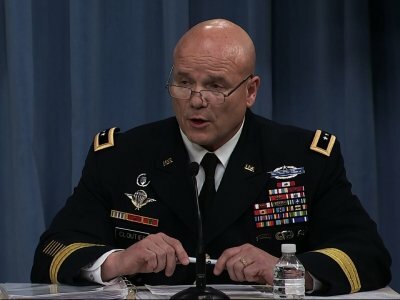 WASHINGTON (AP) — One U.S. special operations soldier was killed and four U.S. service members wounded in an "enemy attack" Friday in Somalia, the U.S. military said — casualties that are likely to put renewed scrutiny on America's counterterror operations in Africa. NIAMEY, Niger (AP) — An attack by three suicide bombers outside a mosque in Niger's southeast killed at least six people and wounded dozens of others, the government said Tuesday. FORT BRAGG, N.C. (AP) — The names of four Special Forces soldiers killed last year in an ambush in Niger were among 12 added to a memorial wall at Fort Bragg. It describes how the fleeing troops set up a quick defensive location on the edge of a swamp and -- thinking they were soon to die -- wrote messages home to their loved ones. Top military leaders acknowledge that multiple failures led up to the deadly Niger attack last October that killed four American service members and sent others fighting and running for their lives. Still, the military says more important factors were "that the enemy achieved tactical surprise there and our forces were outnumbered approximately three-to-one." BERLIN (AP) — The United Nations' refugee agency says it has airlifted 132 vulnerable migrants from Libya to Niger, the first group to be flown out after a two-month halt in such evacuations. WASHINGTON (AP) — The Pentagon on Thursday will release the final report on the Niger attack that killed four Americans last October, concluding that the Army Special Forces team did not get required command approval for the initial risky mission to go after a high-level insurgent linked to the Islamic State group. DAKAR, Senegal (AP) — Drought, conflict and high food prices will drive millions of people in West Africa's Sahel region into malnutrition and further insecurity without immediate aid, three United Nations agencies warned Thursday. WASHINGTON (AP) — U.S. military leaders are considering new guidelines for the use of helmet cameras on the battlefield after Islamic State-linked fighters in Niger exploited footage taken by a fallen American soldier to make a propaganda video that highlighted the killing of four U.S. forces.